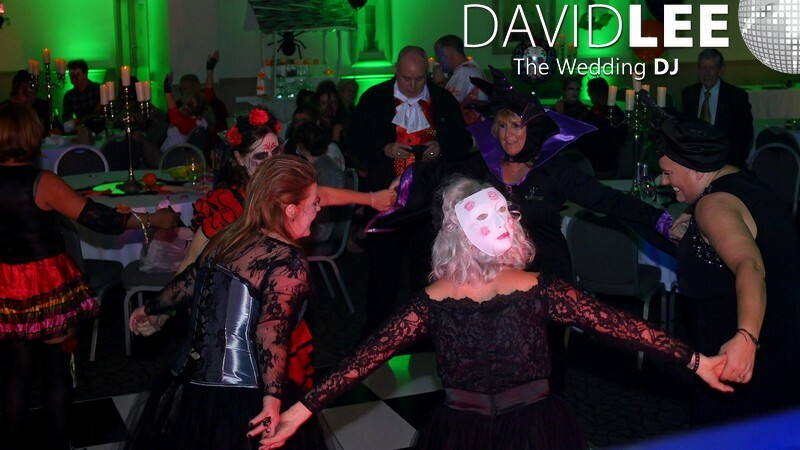 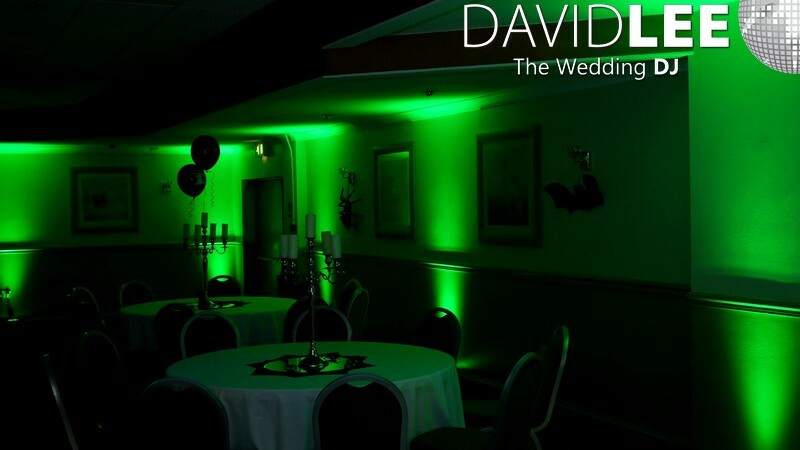 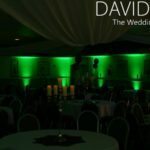 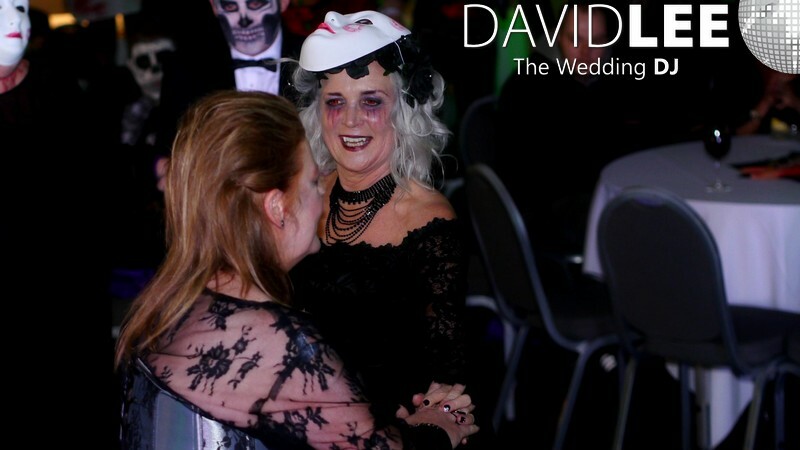 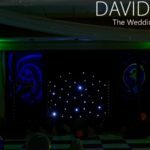 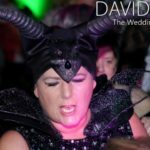 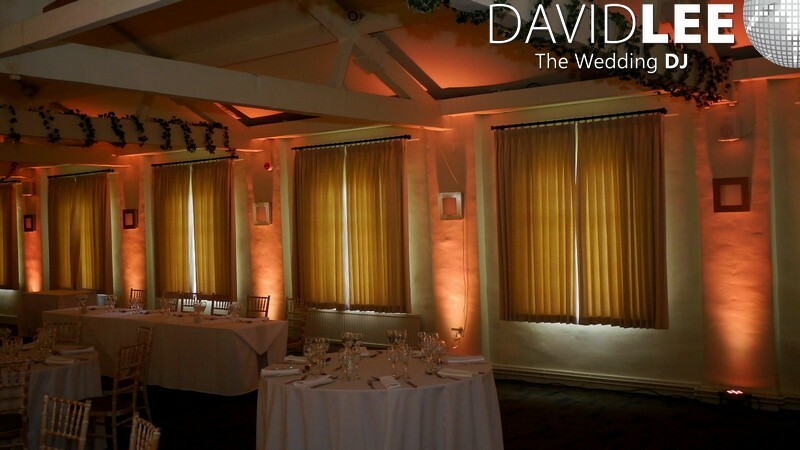 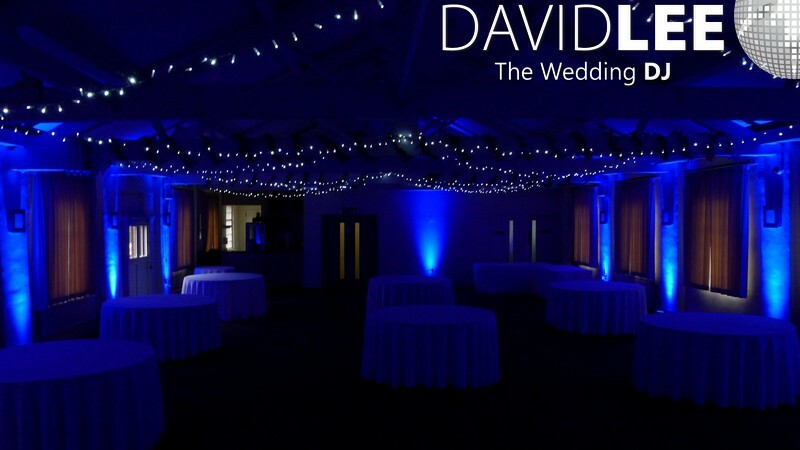 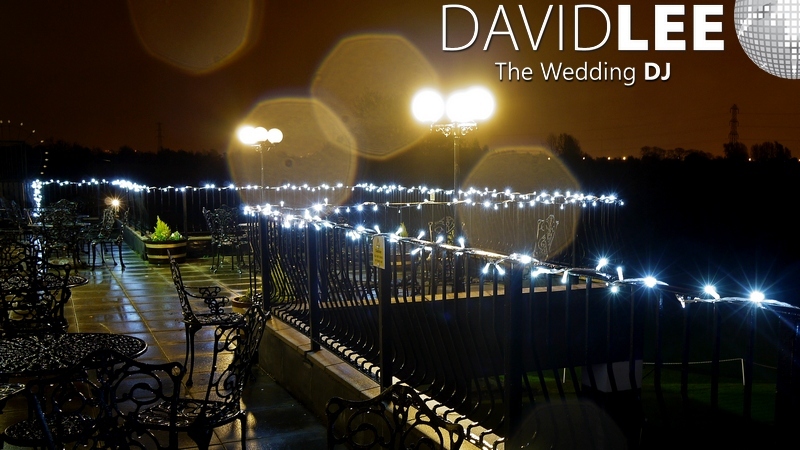 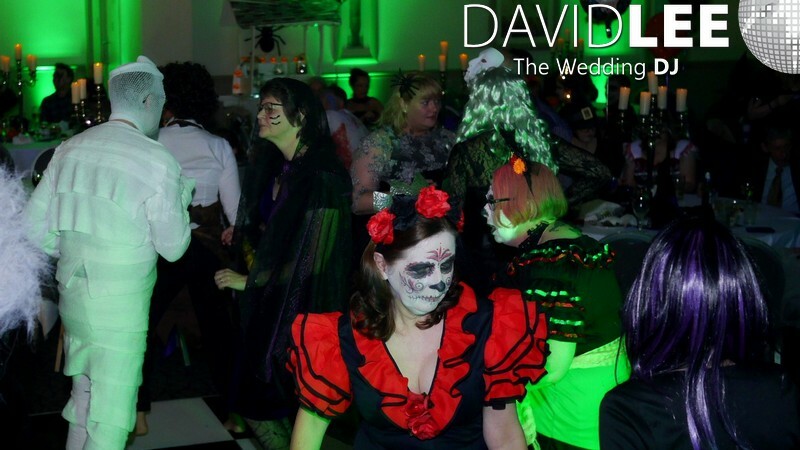 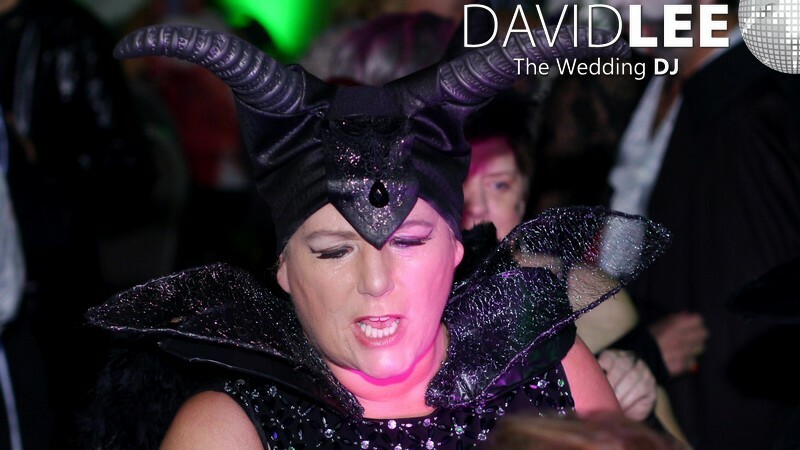 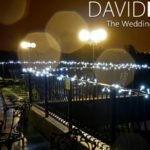 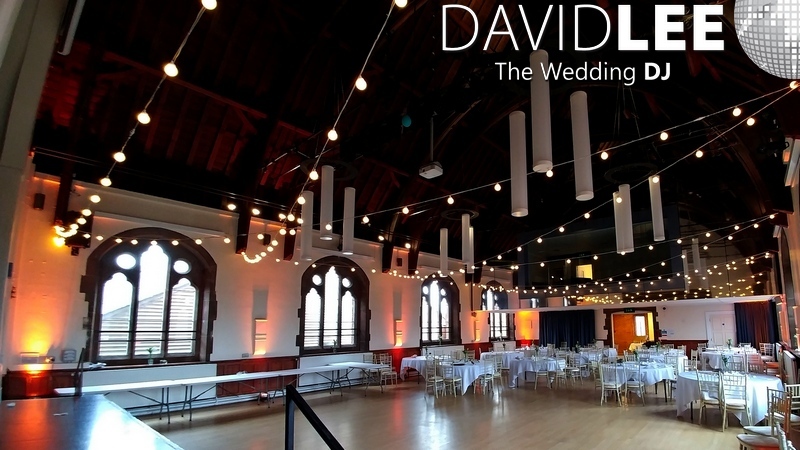 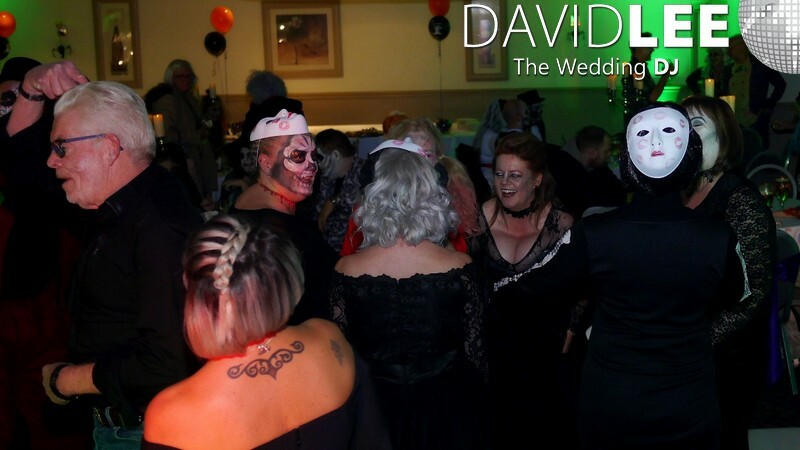 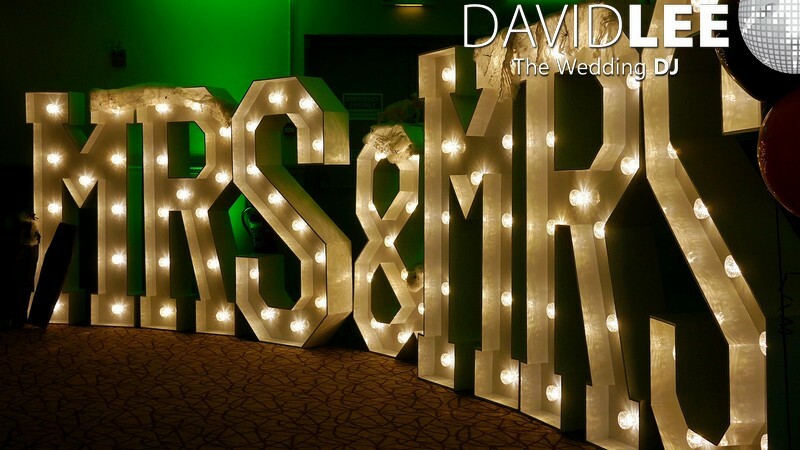 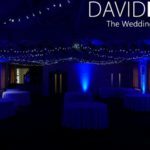 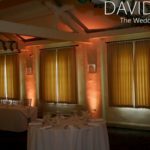 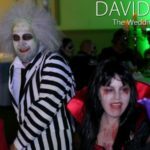 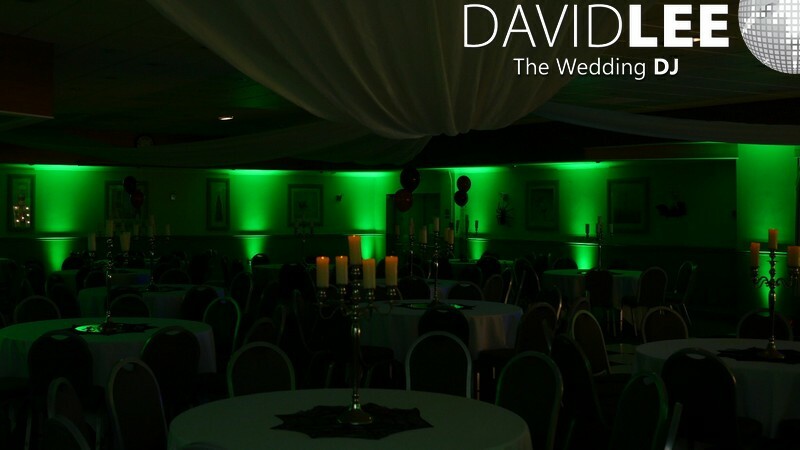 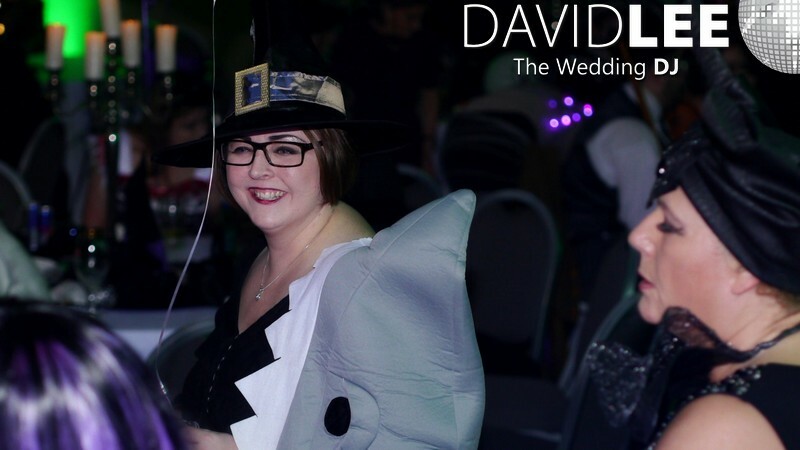 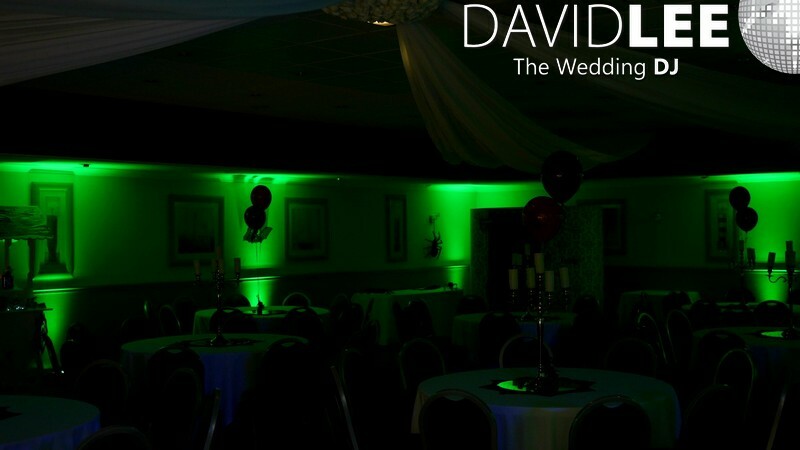 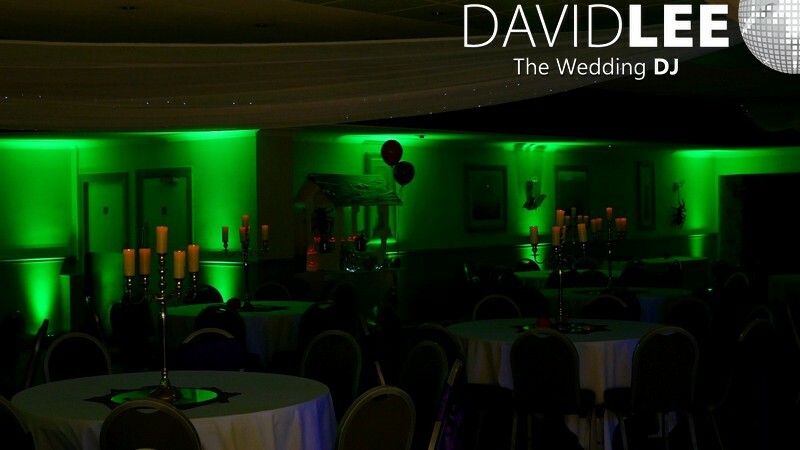 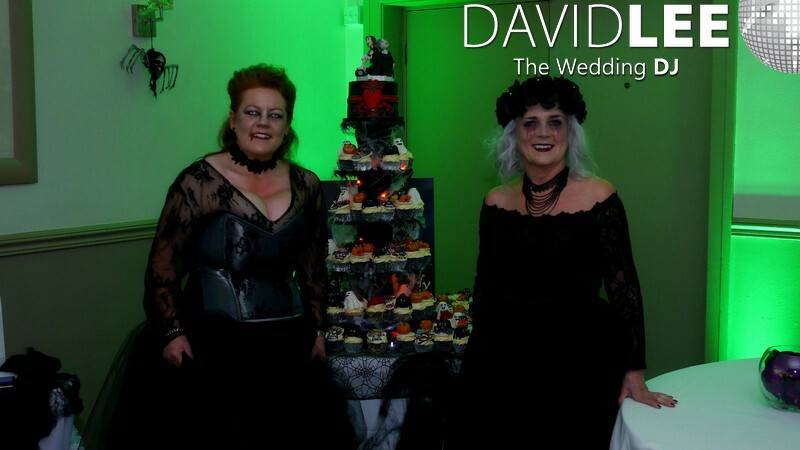 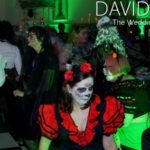 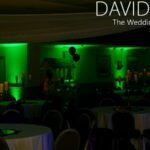 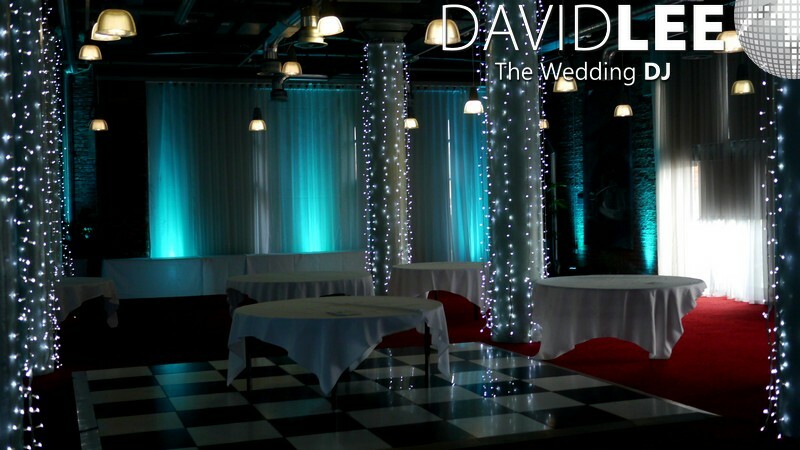 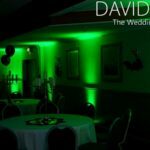 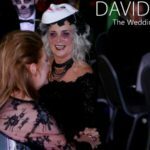 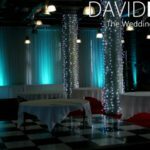 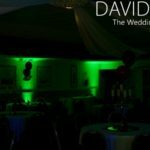 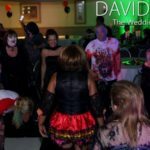 On the Saturday before Halloween this year, I had the privilege of being asked to supply the Uplighting and wedding DJ for Mandy & Sharon’s wedding at the Cresta Court, Altrincham. 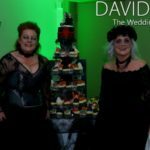 What – a – Pleasure. 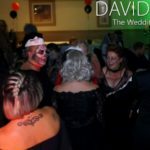 The room was themed all over, and with everyone making an effort and dressing up, most with pretty spectacular costumes as well I knew it was going to be a good night. 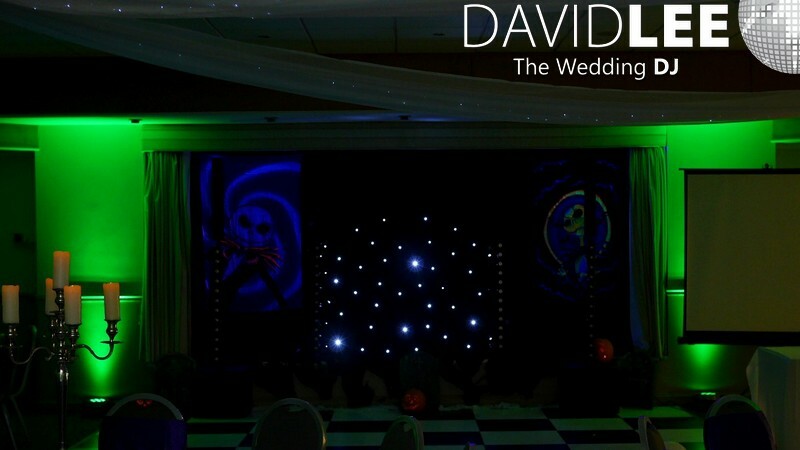 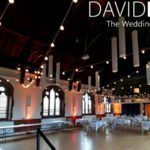 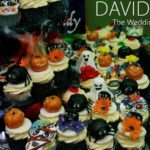 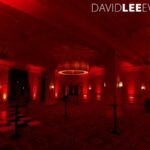 I supplied some Jack Skellington UV Banners, UV Lights, Green Uplighting and of course the spooky tunes, plus the room had cob webs, spiders on walls, pumpkins, spooky displays, candy cart with spiders! 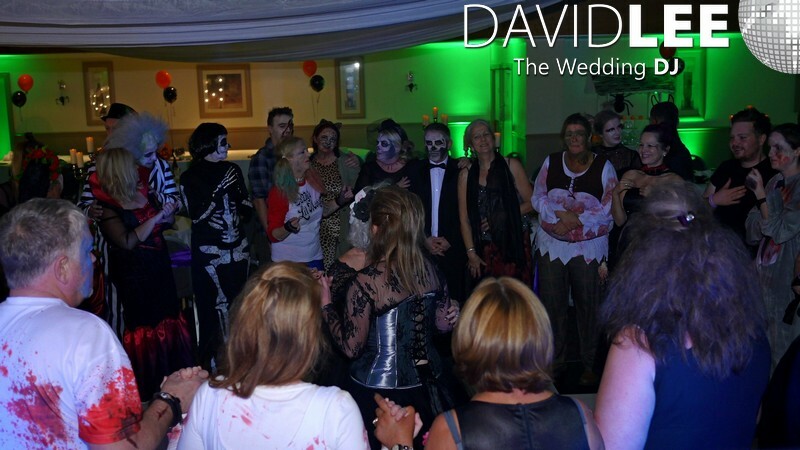 Overall the the looked Fab. 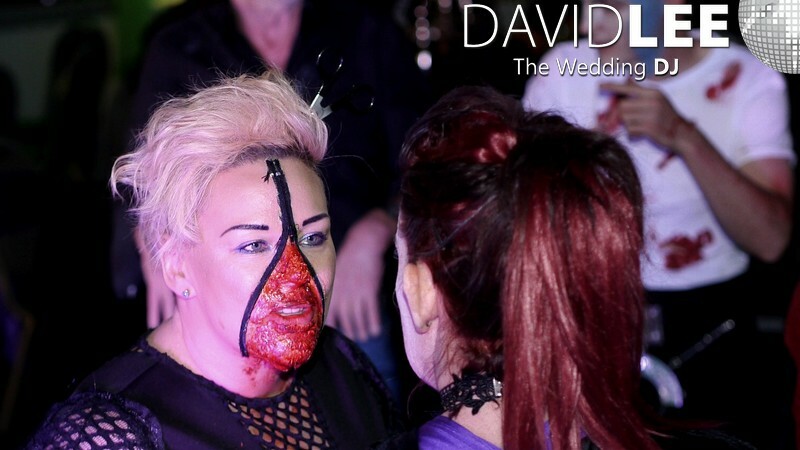 Really awesome. 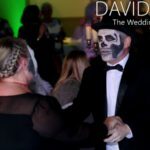 After having some creepy themed music for the early part of the evening and buffet we had the first dance, which was a little different to the norm. 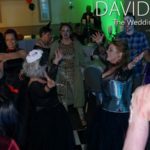 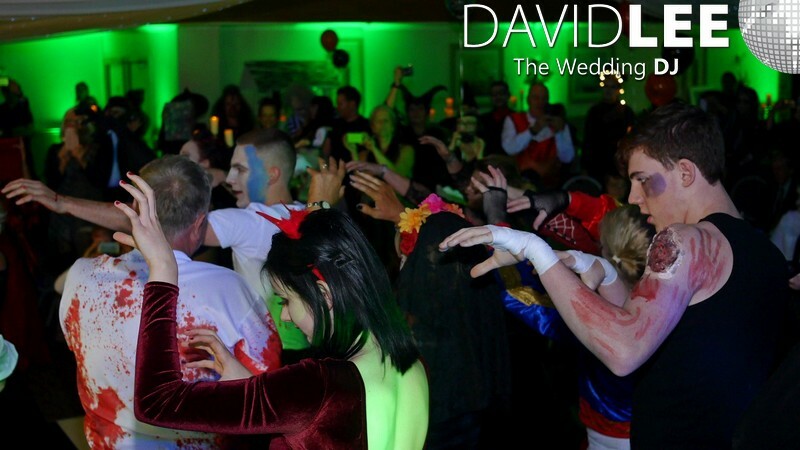 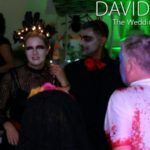 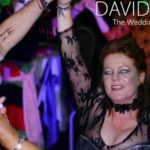 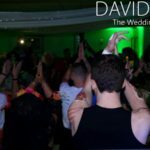 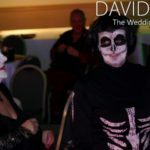 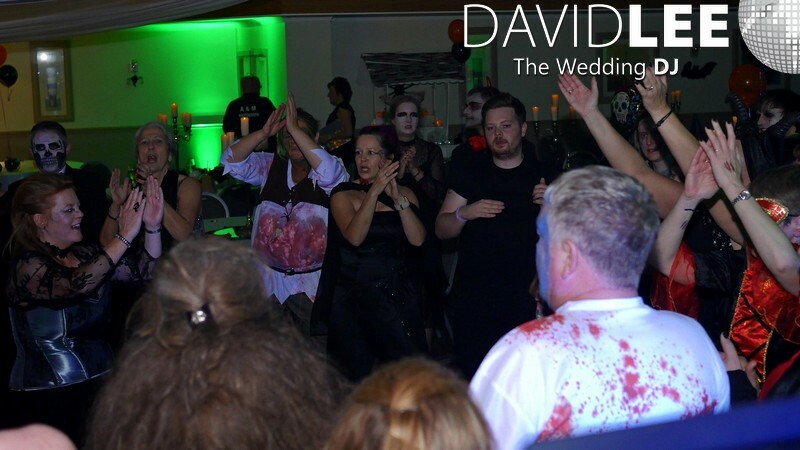 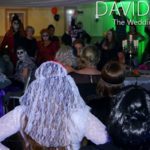 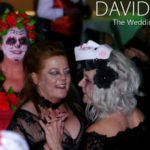 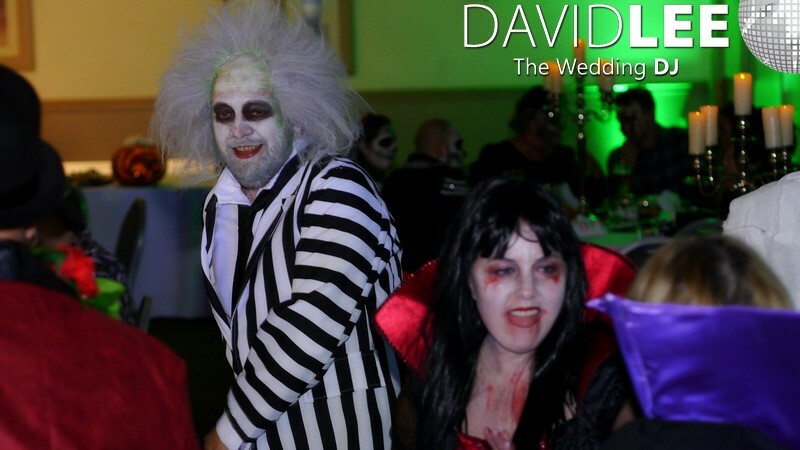 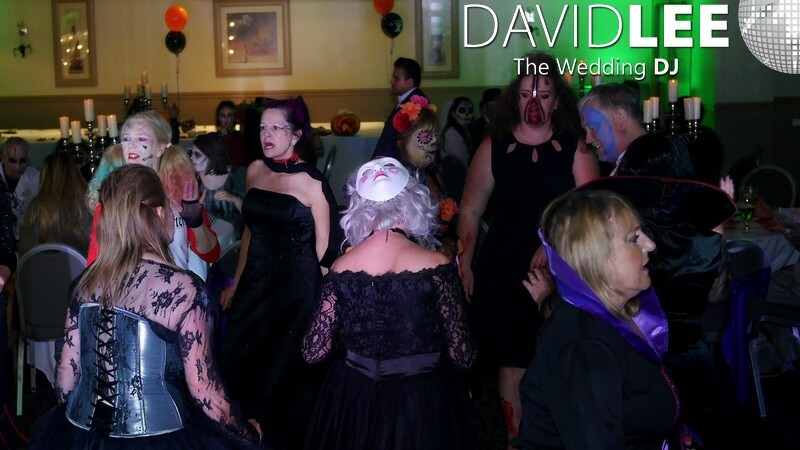 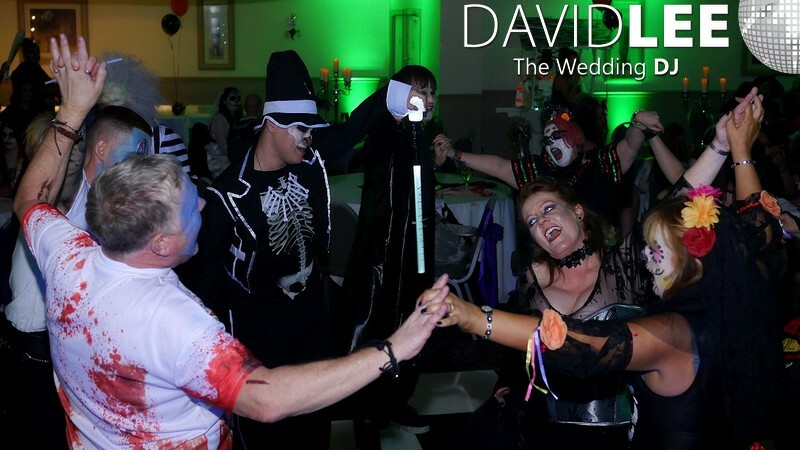 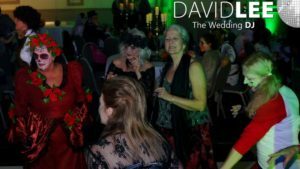 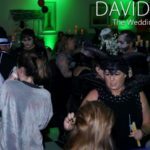 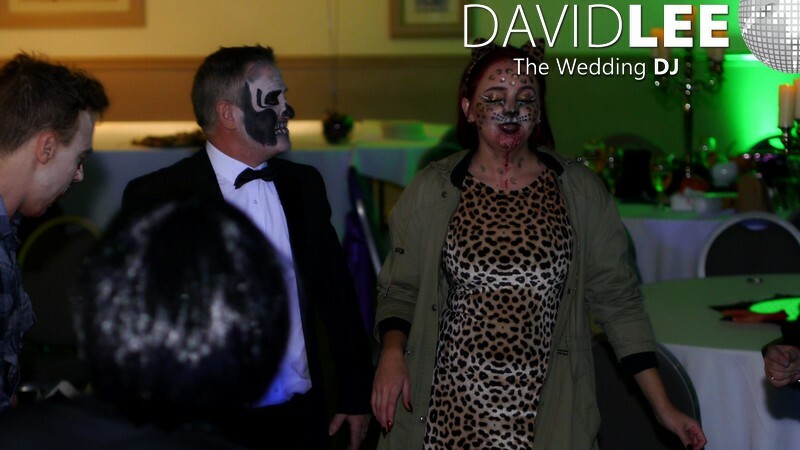 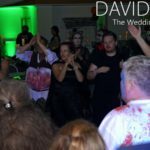 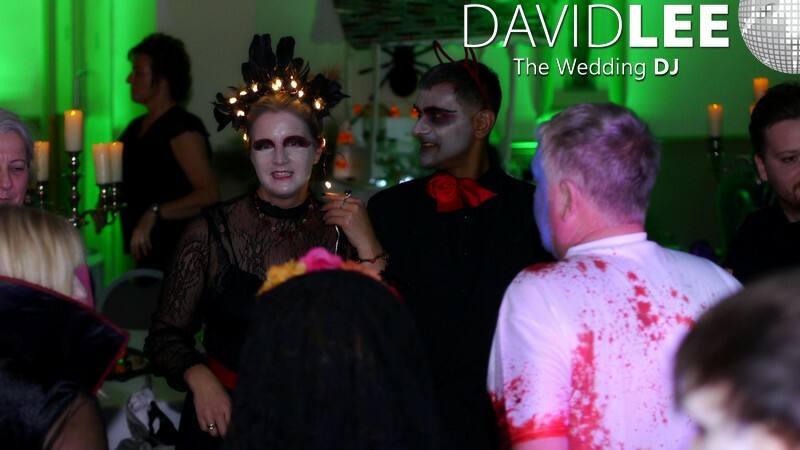 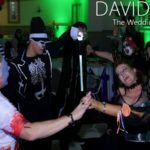 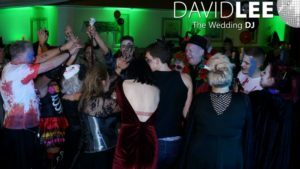 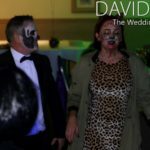 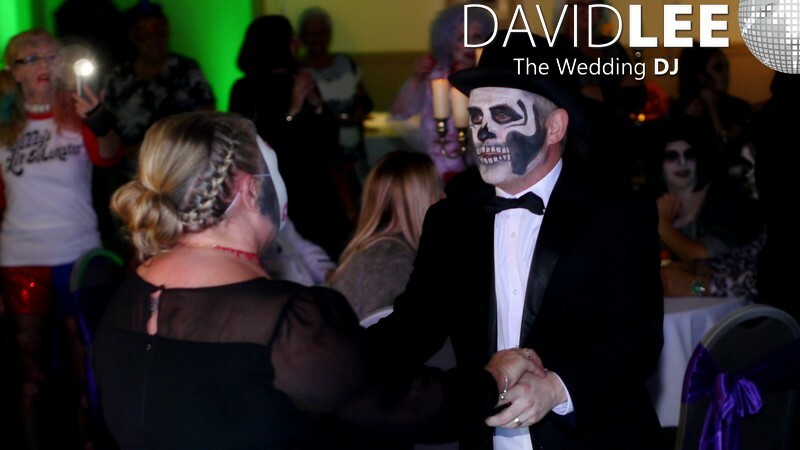 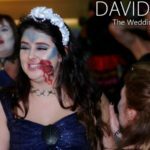 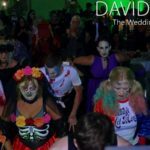 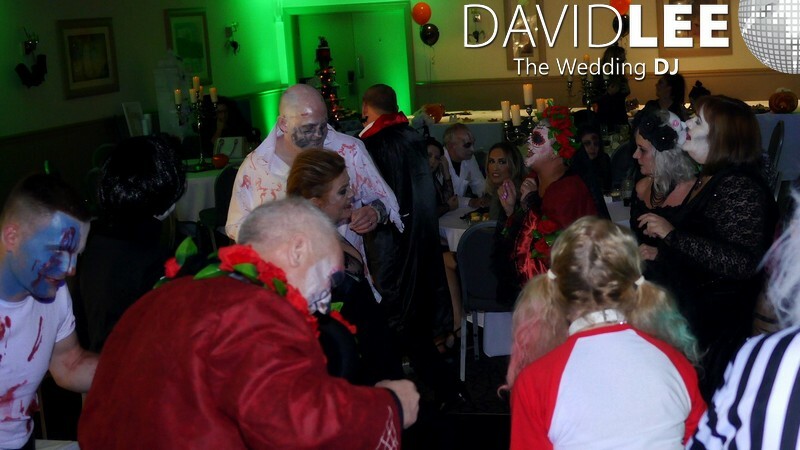 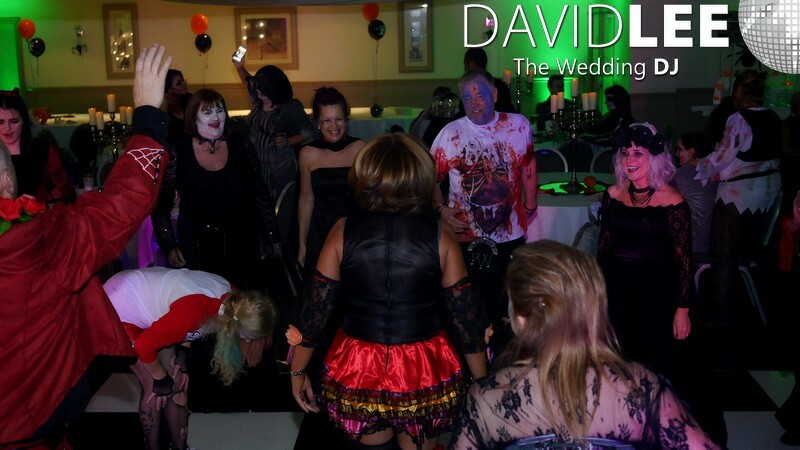 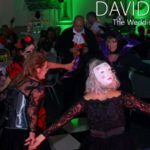 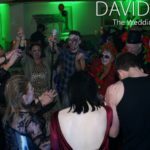 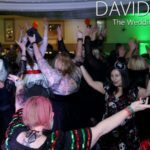 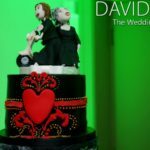 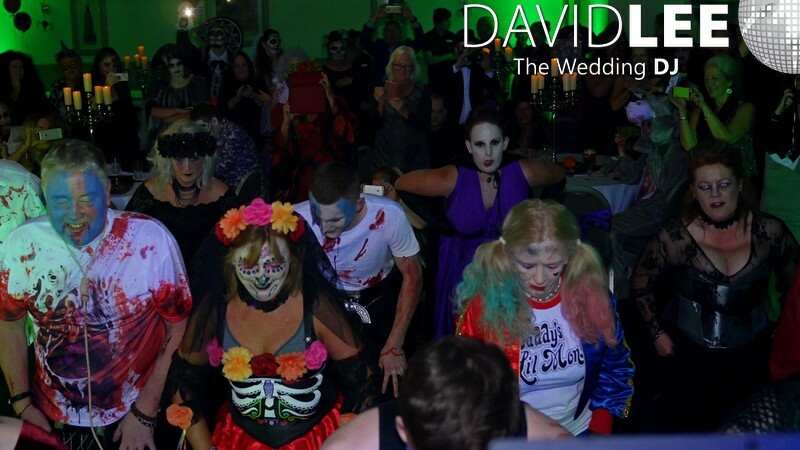 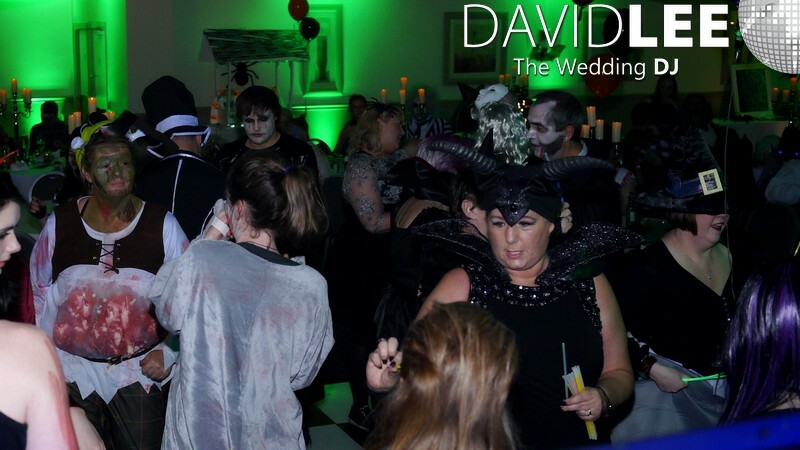 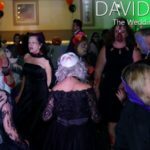 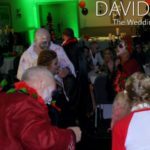 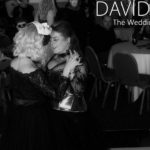 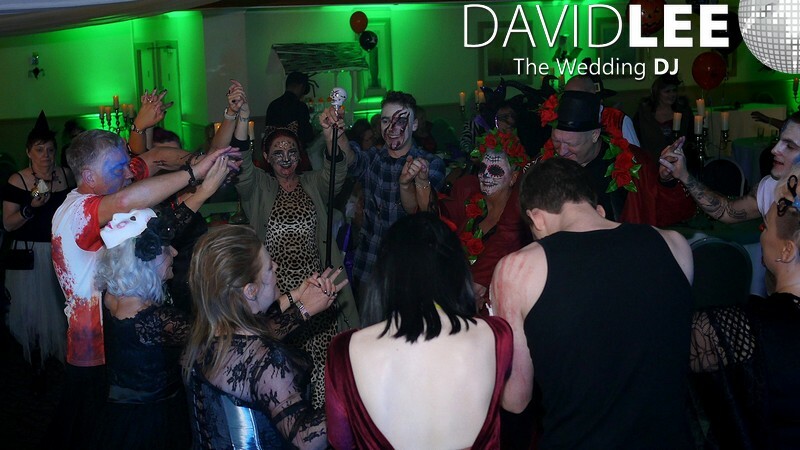 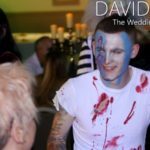 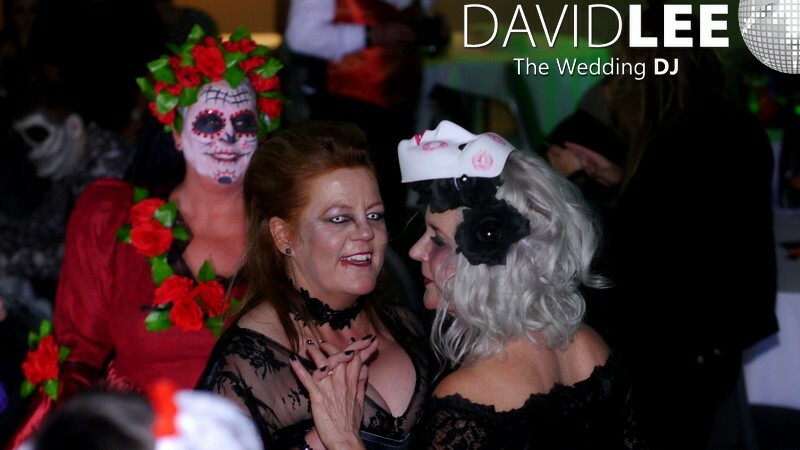 It was Thriller – Michael Jackson – and we had about a group of guests joining in with the brides all performing the dance routine to the full song. 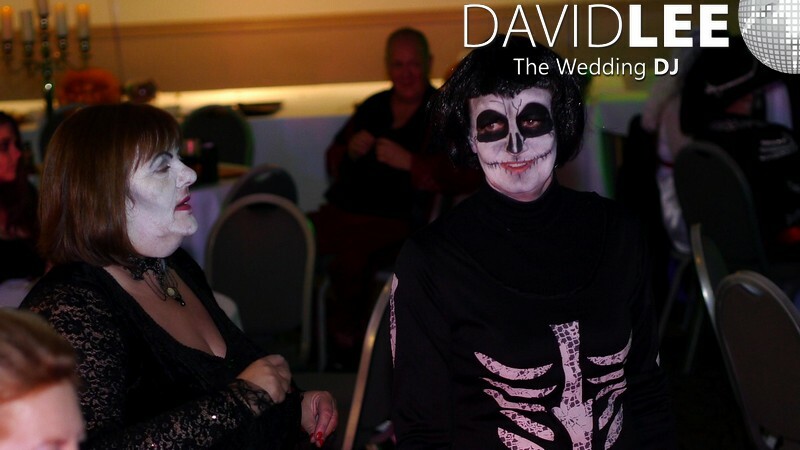 Well rehearsed and looked great. 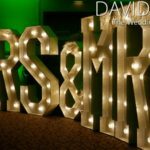 Love it when people do this kind of thing and you can see the effort they put into it. 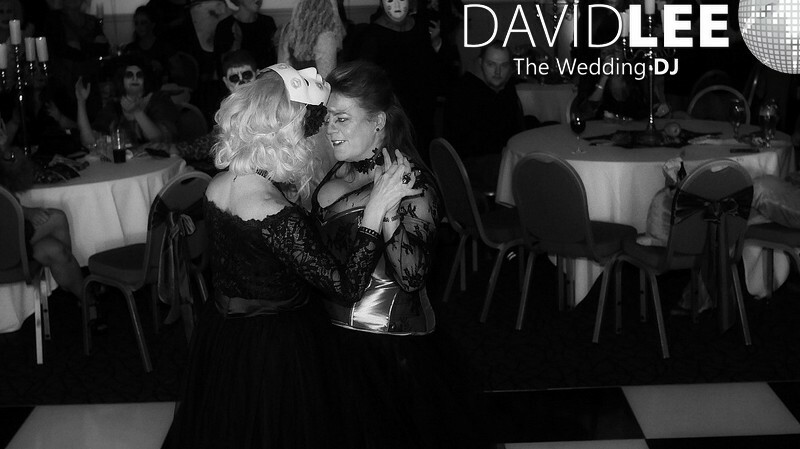 The music was spread over the decades and genres. 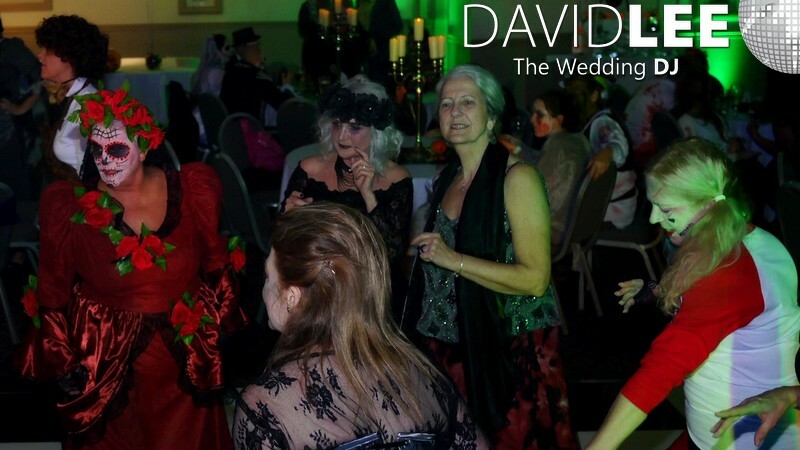 From current chart back to some Sixties & Seventies. 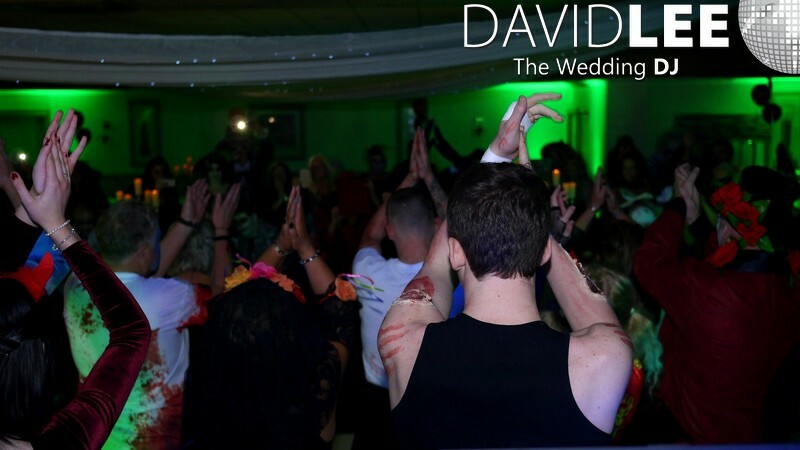 Including a great selection of Party & Eighties tracks along with some Disco, and Indie. 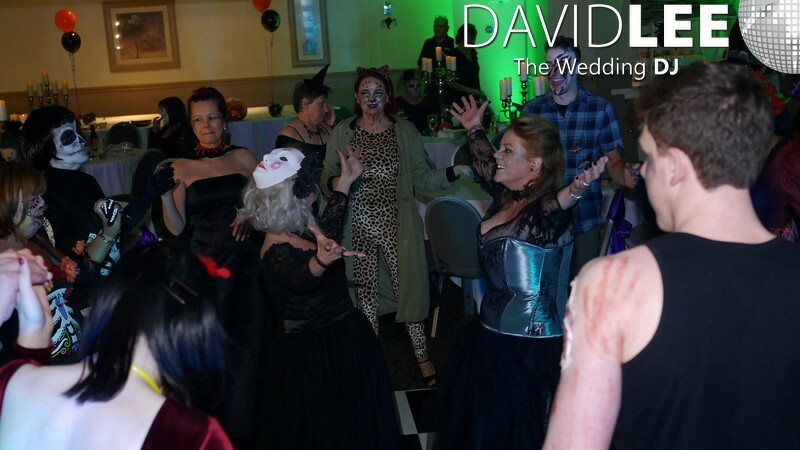 Even a remix of Dolly Parton 9 to 5 which went down well. 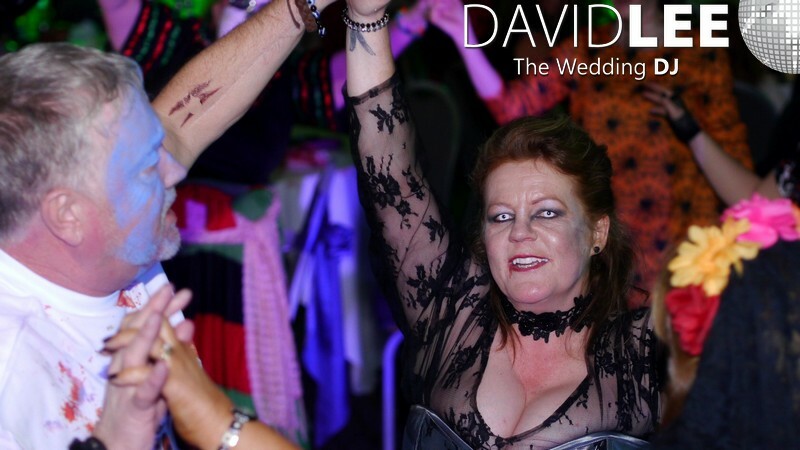 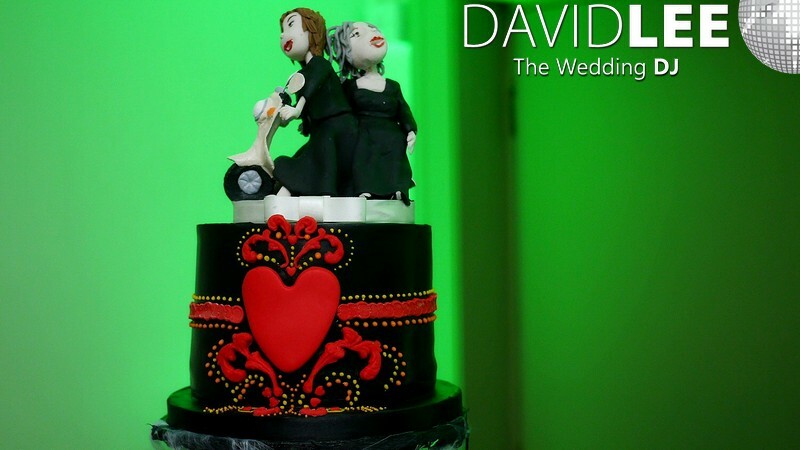 The first of the last 2 songs requested by the brides was Bon Jovi – Come on up to our house. 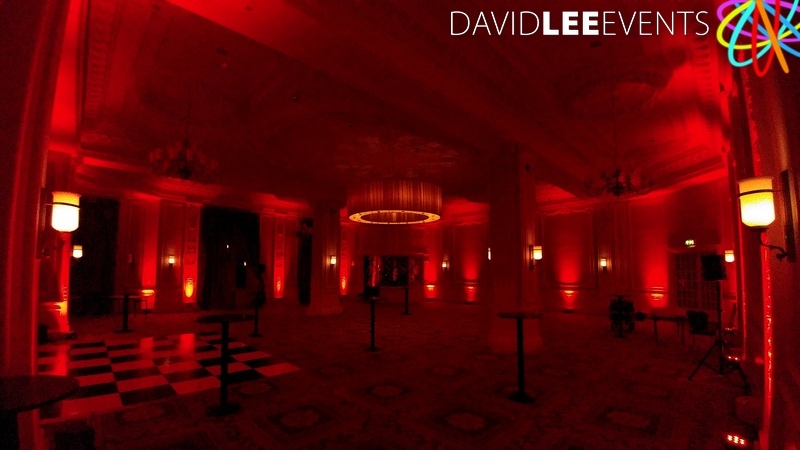 This was then followed by the classic finale song that is Runrig – Lock Lammond . 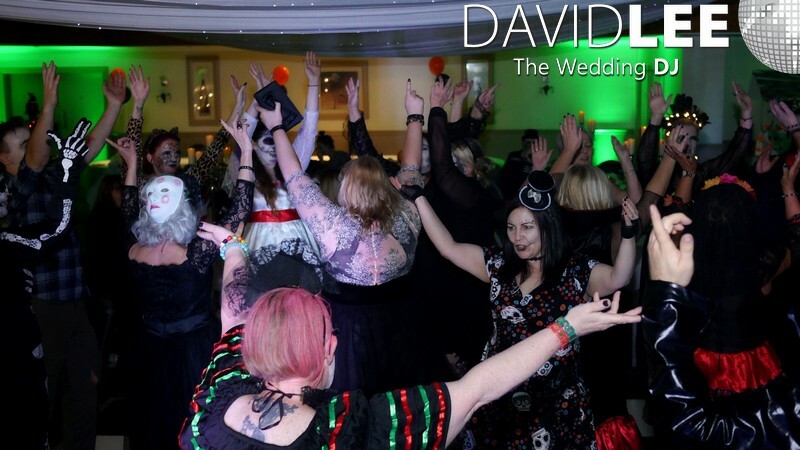 Everyone was up giving it some, hands in the air making sure that Mandy and Sharon had the big end to their special day. 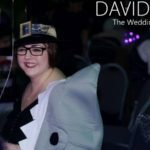 It’s not everyday I get to dress up in fancy dress for a wedding but if they all are as good as this one, I can’t wait for the next one. 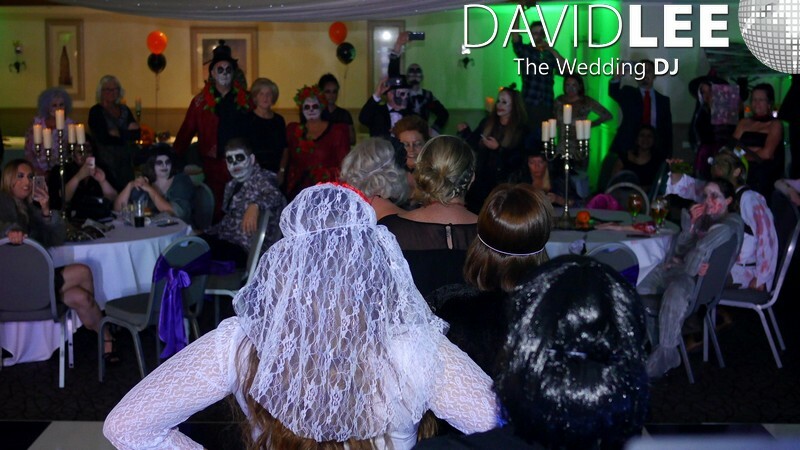 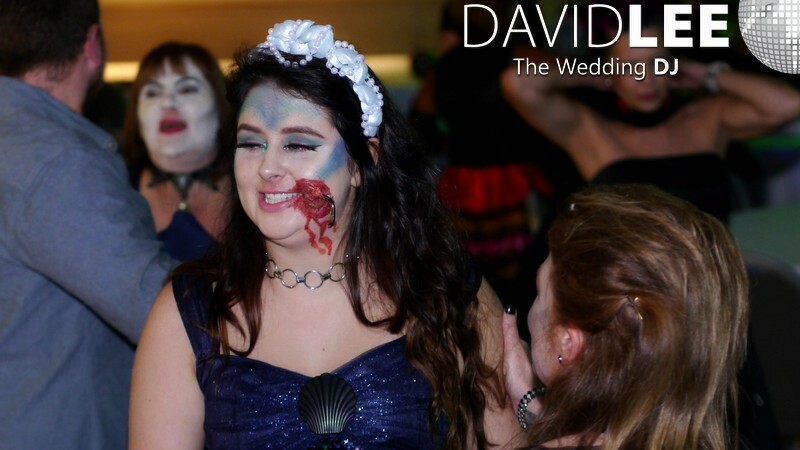 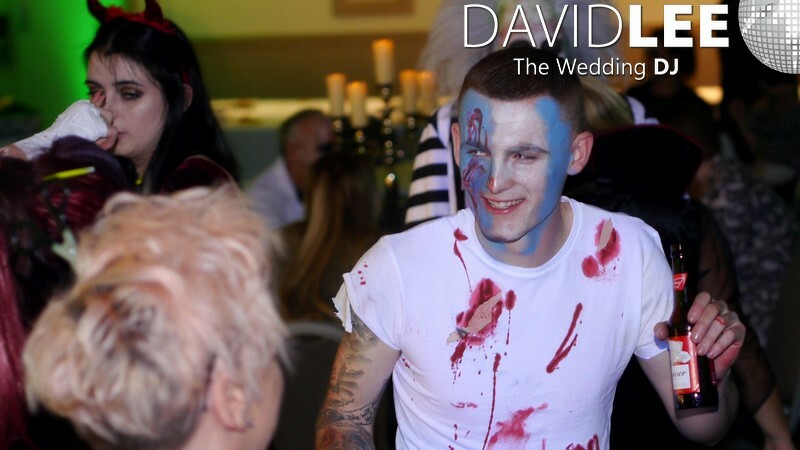 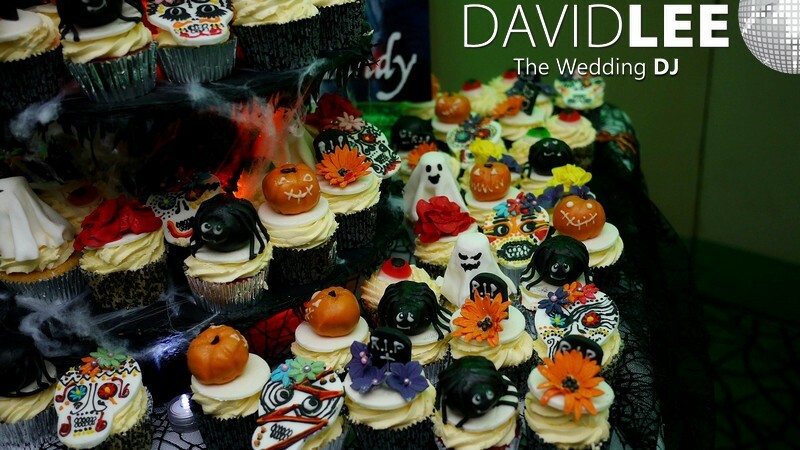 It was a real privilege to be here at this Halloween wedding, and congratulations to you both.